Believe it or not, but you can still buy an 80s classic Hesketh V1000 motorcycle, brand new, made in small numbers by Broom Engineering. 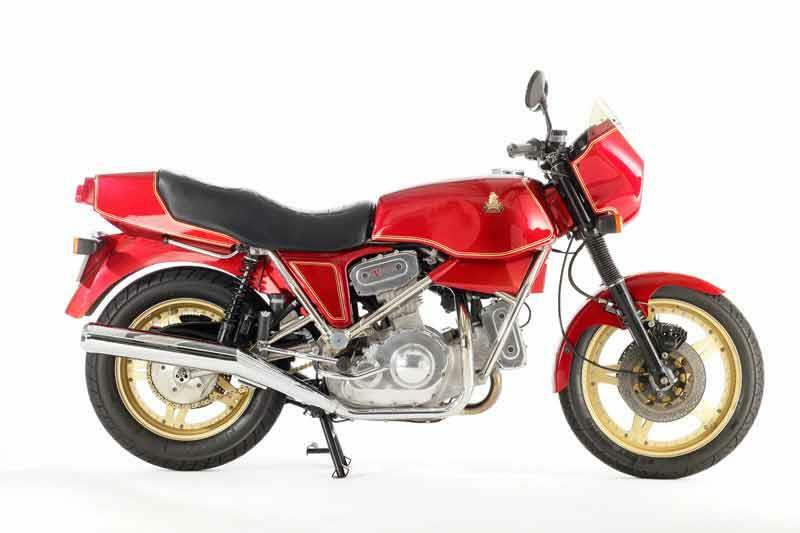 The original Hesketh V1000 was hailed as the saviour of the British industry back in 1981, but this heavy, rather touring orientated V-twin motorcycle was - and still is - an acquired taste. 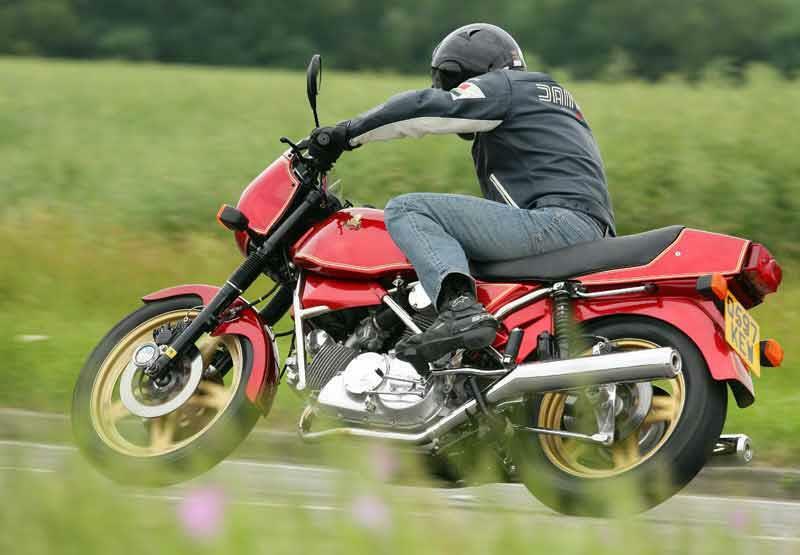 From 2004 onwards, the Hesketh V1000 was increased to 1200cc (becoming the Hesketh V1200) in engine capacity, and features an uprated gearbox, improved suspension and new wheels. 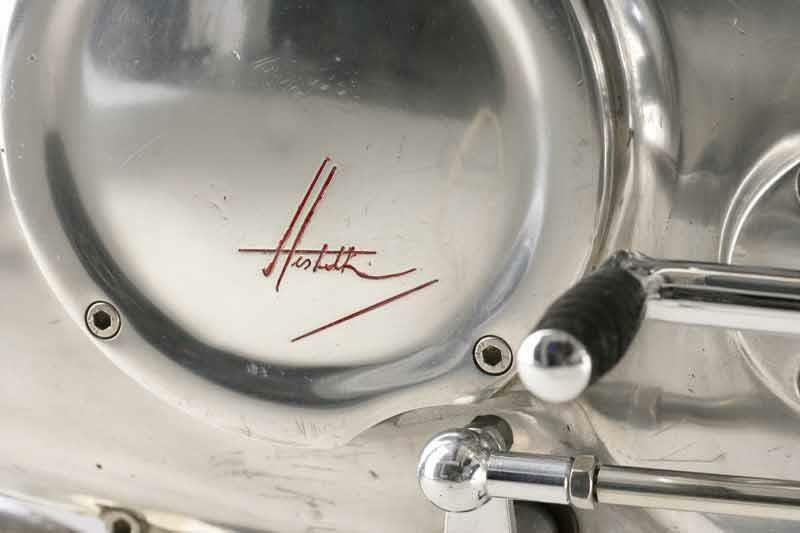 For its time, the Hesketh V1000's Reynolds tubed frame, which lets the motor hang from its swingarm pivot and front downtubes, is a clever piece of engineering. The 2004 onwards Hesketh V1200 models also get fully adjustable suspension front and rear, plus new alloy rimmed spoked wheels. But this is still an old design at heart and anyone expecting the Hesketh V1000 to out-corner an EXUP will be disappointed. 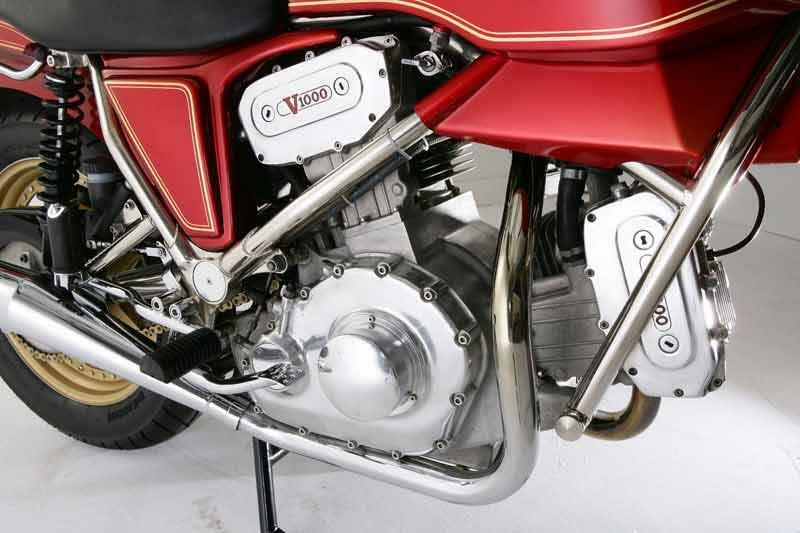 Many people see the Hesketh V1000 as an 80s version of the Vincent twin and the engine has a classic simplicity about it, featuring air/oil cooling, a modest 86bhp delivered at just 6500rpm and five speed gearbox. So long as you understand that you're buying a handbuilt, relatively sedate, classic British motorcycle, you're not likely to be disappointed with the performance of the Hesketh V1000. The overall reliability and a succession of gearbox problems, eventually sank Lord Hesketh's V-twin folly in the 80s, but the modern day motorcycles are built to the owner's spec, and painstakingly manufactured, so there shouldn't be any major problems. To be fair, the Hesketh V1000 isn't a motorcycle you would ride daily, so most owners would probably accept doing regular maintenance to keep the motorcycle fit for very occasional use. 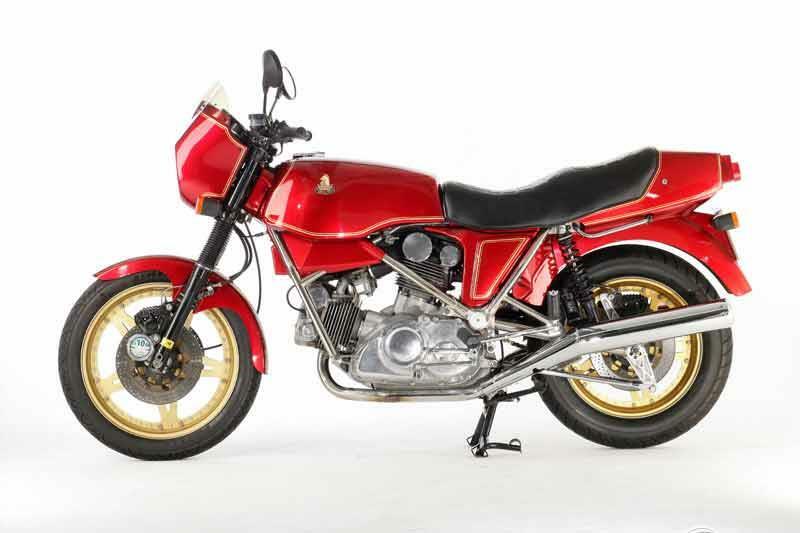 Let's be clear, twelve grand doesn't buy you a Vincent, but it does buy a decent BSA Gold Star 500 and a `Goldie' is far more likely to retain its value in the long run than a Hesketh V1000, if British classic motorcycles are your thing. 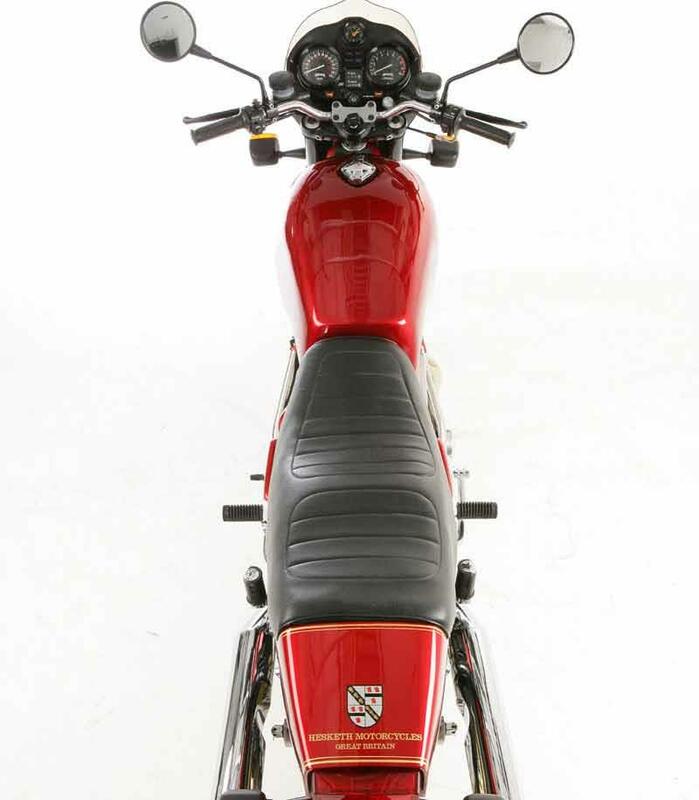 Compared to exclusive/rare modern motorcycles, the Hesketh lacks the sheer voluptuous beauty of something like an Bimota DB5R and isn't as much fun to ride as a Voxan Cafe Racer V-twin either. 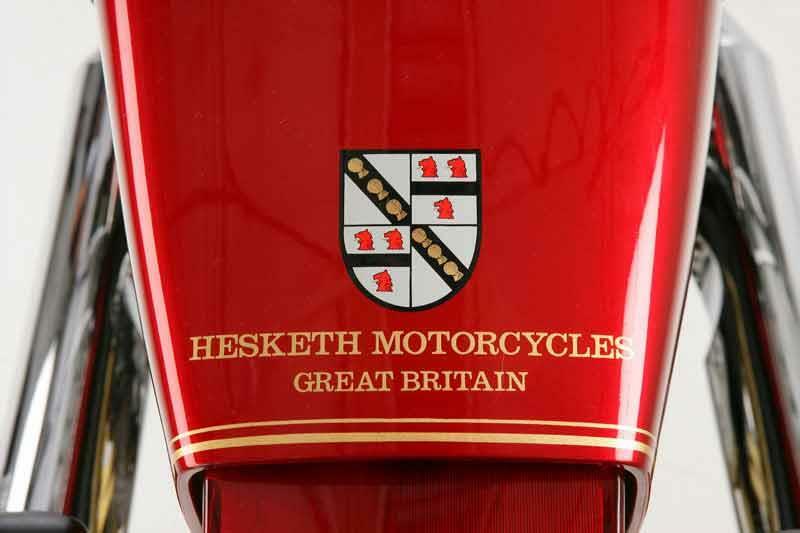 Find a Hesketh V1000 for sale. Considering the Hesketh V1000's £12,000 price tag, it doesn't have especially great equipment fitted. The front brakes have just 2 piston calipers as standard - 6 pots are optional extras. Other details like the mirrors and rear shocks look a bit low budget. 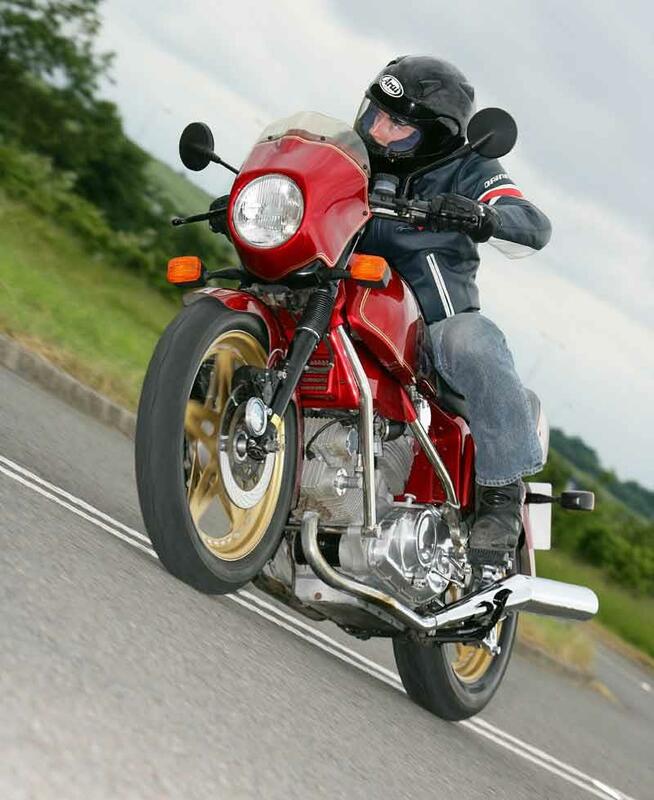 Should a centre-stand be an optional extra on a classic motorcycle like the Hesketh V1000? Arguably not. 1982: Hesketh goes into receivership. 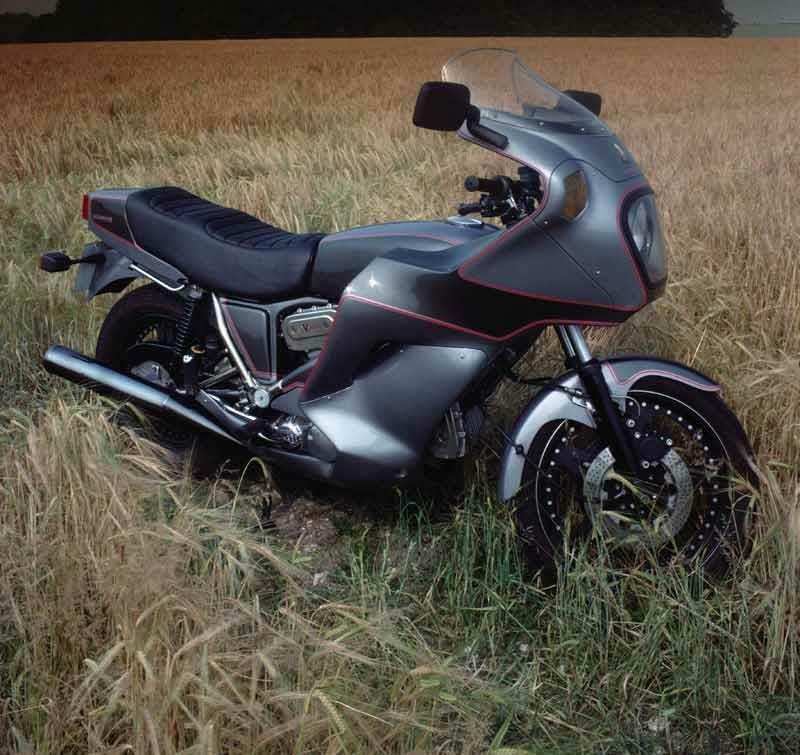 1992: Hesketh Vortan Streetfighter appears, costing 20K. 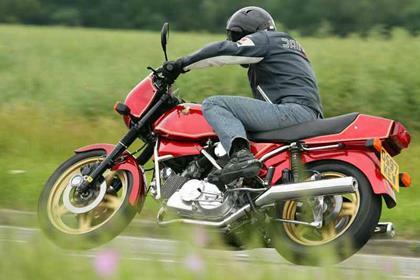 2004: Hesketh V1200 launched; gearbox tweaks, new wheels, suspension, carbon fibre body parts. Hesketh Vampyre 1000: Touring based varsion of original Hesketh V1000. Hesketh Vortan: Strange looking long wheelbase Streetfighter. Hesketh V1200: Modern interpretation of original Hesketh V1000. 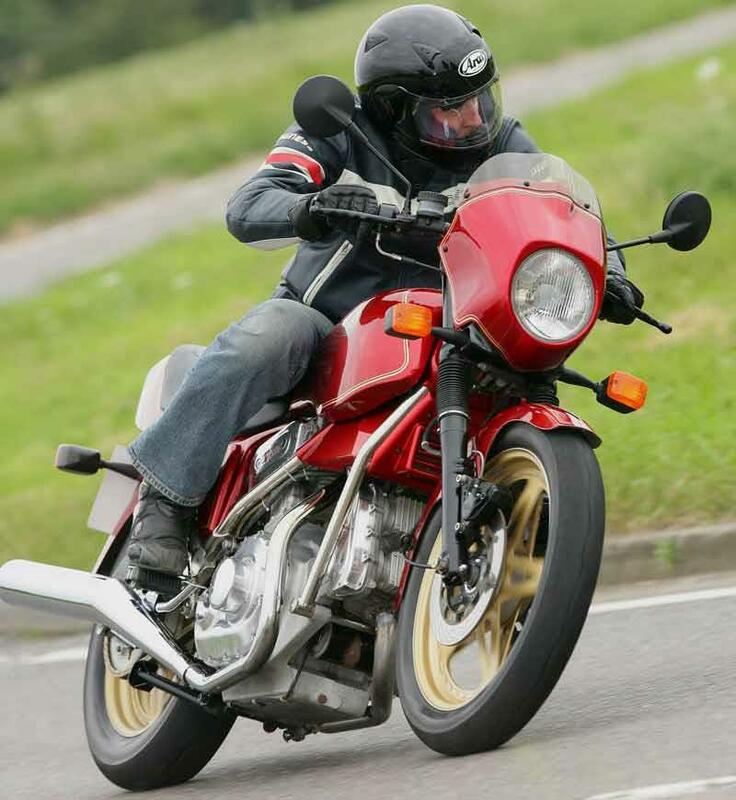 2 owners have reviewed their HESKETH V1000 (1982-on) and rated it in a number of areas. Read what they have to say and what they like and dislike about the bike below. 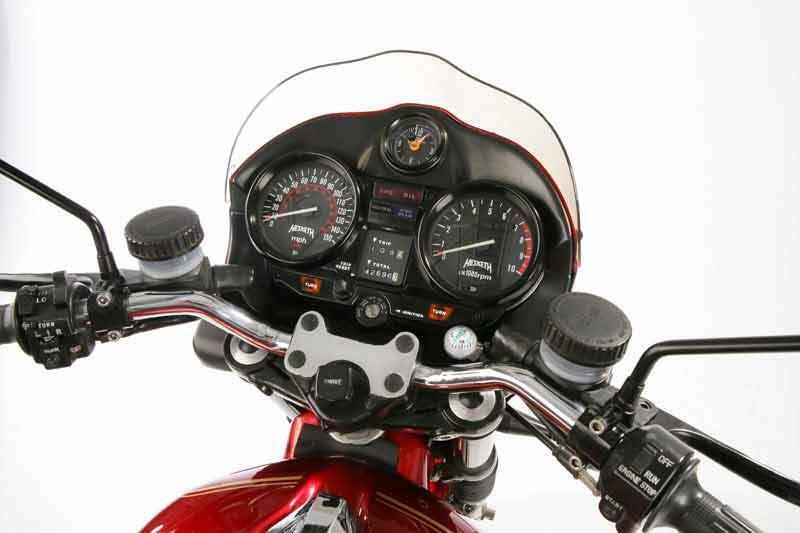 With Marzocchi's and Brembo's at both ends, the suspension was "state of the art" in the early '80s. I find the handling stable and predictable, often finding myself travelling much faster than I had at first thought... 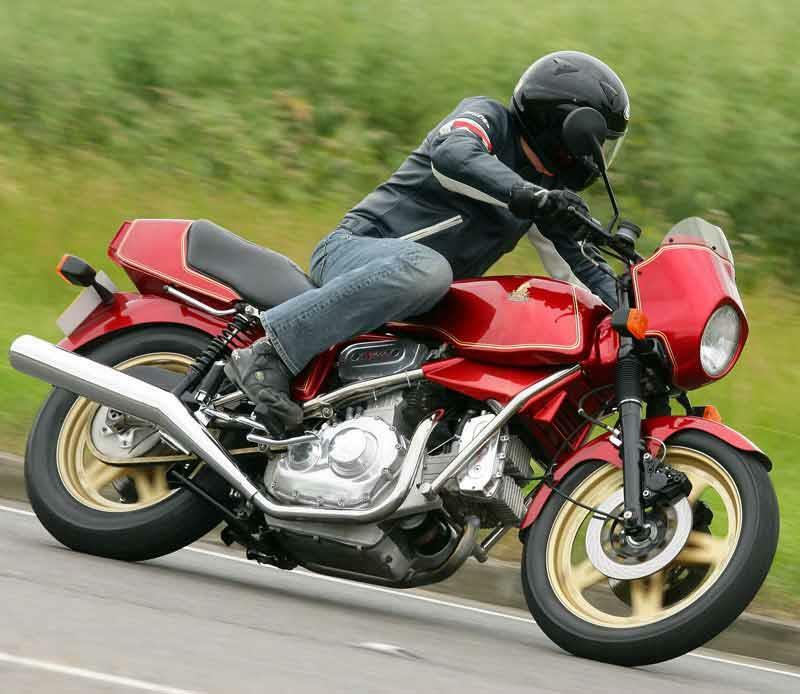 The bike's handling fosters very confident, if not "spirited" riding and I'm rarely at the back of the group when out and about. The V1000 is probably the most "organic" iding experience I've ever had. After over 30 years of reliable, but fairly sterile, Japanese machines, I fulfilled a life-long dream by buying this bike. Everything about the bike says "quality" and riding it gives me more of a thrill than any other bike I've owned or ridden. I'm smitten! IT’S 22 years since Hesketh tried to bring us an all-British superbike with the benefit of breeding.